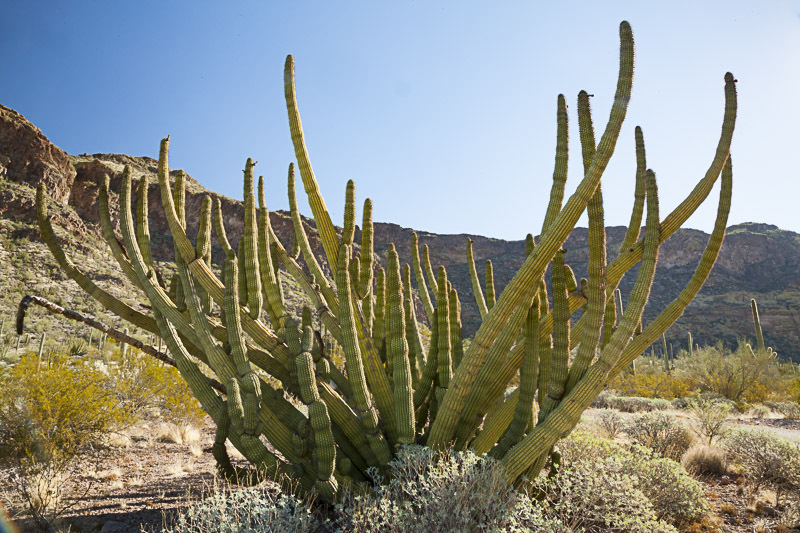 "If you have not been to Ajo recently, you have not been to Ajo. The town is undergoing much more than a facelift and the Sonoran Desert Conference Center is a huge part of the revival." 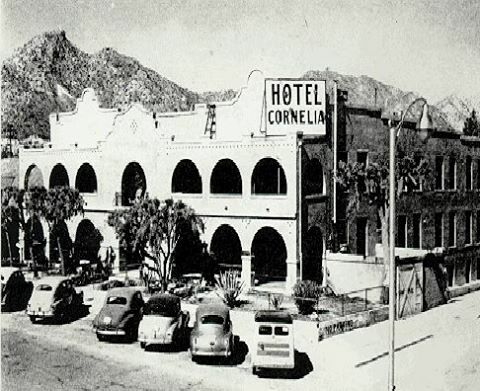 The Sonoran Desert Inn & Conference Center is located in Ajo, Arizona, a former copper mining town in the heart of the Sonoran Desert. 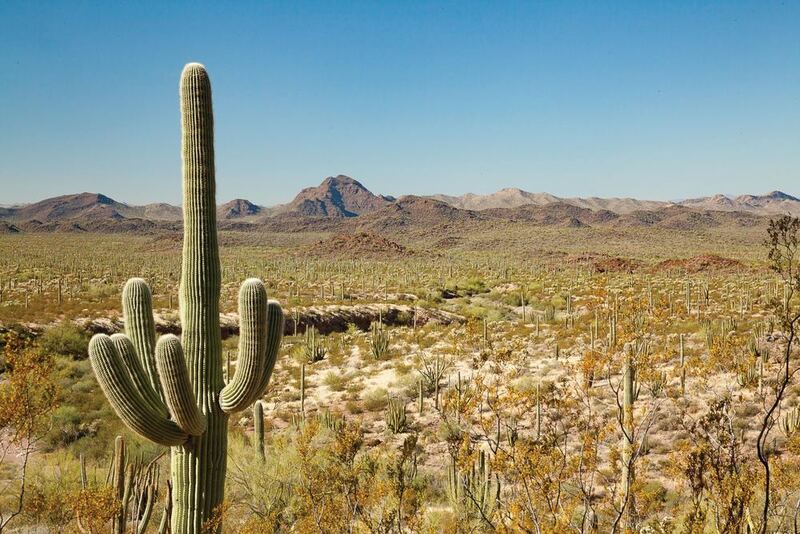 Roughly two hours from Phoenix, Tucson, and the beaches of Puerto Peñasco, and just 15 minutes from the entrance to Organ Pipe Cactus National Monument, the Center is ideally located for a professional, artistic, family, or personal getaway. 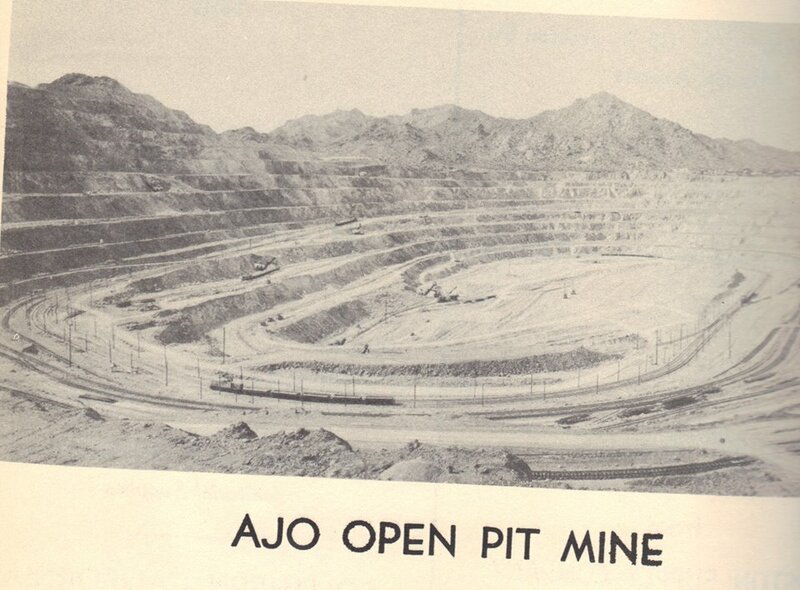 Ajo’s town center was designed in 1914 by the firm Kenyon & Maine at the behest of John Greenway, an early manager of the New Cornelia Copper Mine and the founder of modern-day Ajo. Inspired by the City Beautiful movement, Greenway sought to design a town that would keep mine workers happy and productive. More than a century later and 30 years after the closure of the mine, the stunning Spanish Colonial architecture has been preserved and the arcaded town plaza is a vibrant center of community activity. Many festivals and a weekly farmers market are held in the Plaza, and public art lines Ajo’s historic streets and alleys. 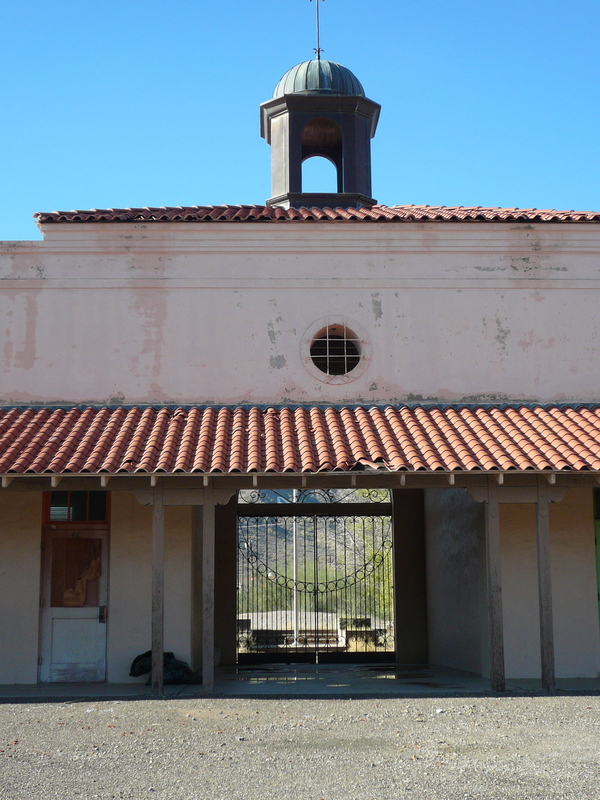 A highlight of Ajo's historic town center is the Curley School Campus, an unmissable landmark. The school closed in 1995, when a new K-12 campus opened across town. 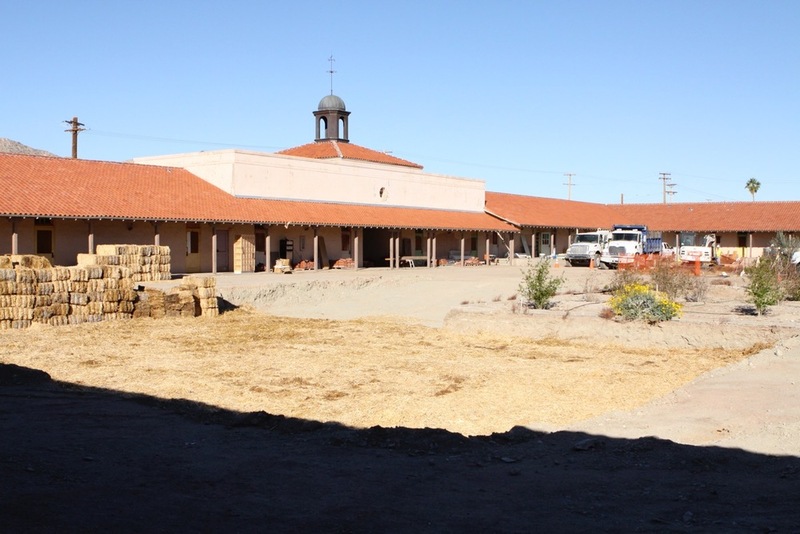 The not-for-profit International Sonoran Desert Alliance (ISDA) purchased the property and converted two of its three main buildings – the stately 1919 main building and the 1930s “J-Wing” - into the Curley School Artisan Apartments. These beautiful, affordable live-work apartments, designed by Tucson architect Richard Fe Tom, put Ajo on the map as a center of creativity and artistic endeavor. In 2011, ISDA began renovations on the third school building, an elementary annex added in the 1940s, to transform it into the Sonoran Desert Inn and Conference Center. Tucson Architect Rob Paulus came up with the design, which we call “Southwest Industrial.” The aesthetic elegantly blends the heritage of the building and the spirit of the region, retaining original school features and complementing them with warm tones, mountain views, and desert landscaping. Creating this remarkable facility was a labor of love by the Ajo community. The Center served as a job-training site for Ajo residents: apprentices in ISDA’s Journeyman Apprenticeship program worked with local contractors to renovate the building. Youth in ISDA’s Get Going Get Growing Internship partnered with the Ajo Center for Sustainable Agriculture to create the gardens, orchards, and chicken coop in the courtyard. Local artists and artisans have added special touches to the Center, including the ceramic room number tiles and the javelina pillows on each bed. Directors Emily & Stuart Siegel came on board just before the inn opened. They discovered Ajo on a year-long roadtrip in 2014 and came back as volunteers in early 2015, helping to get the inn ready for action. They fell in love with the Ajo community, ISDA's mission, and the potential of this new business, and decided to stay. They got married here in 2015 and their son Jonah, a frequent visitor to the inn, was born in 2016. The Sonoran Desert Inn and Conference Center is a not-for-profit entity and was built with the generous support of Ford Foundation, ArtPlace America, Freeport McMoRan Foundation, US Department of Agriculture, US Department of Housing and Urban Development, and US Department of Health and Human Services. We look forward to welcoming you to Ajo and adding your story to the history of this fascinating property! A reminder: Ajo is off the beaten path! 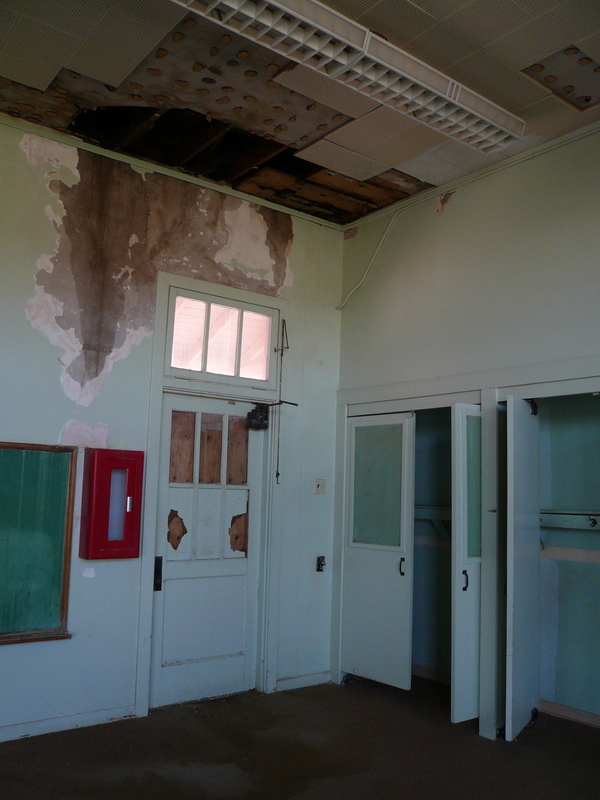 The school closed in the 1990s and was abandoned for 20 years. 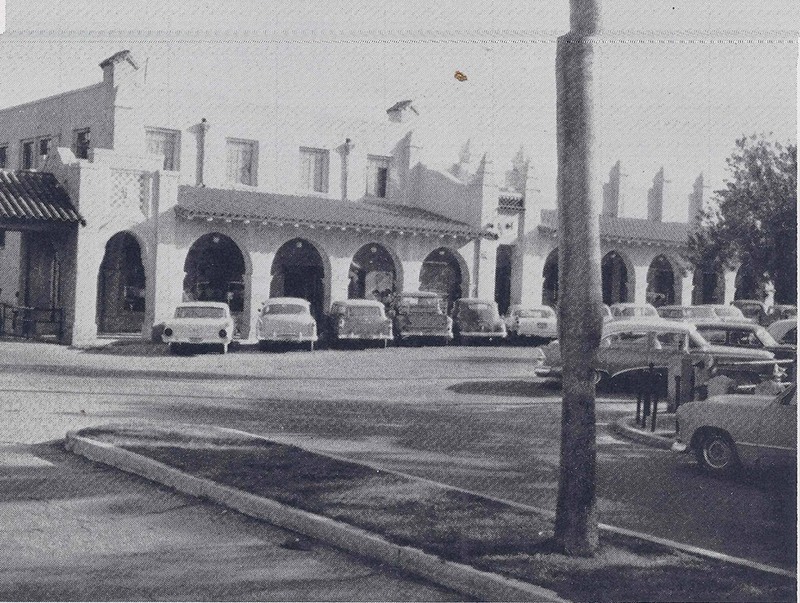 This was taken before the renovations began. Greg Duggan planting the pomegranate orchard in the Conference Center courtyard in 2011. The courtyard gardens went in before the renovations of the building began. An old classroom, before it became a guest room. 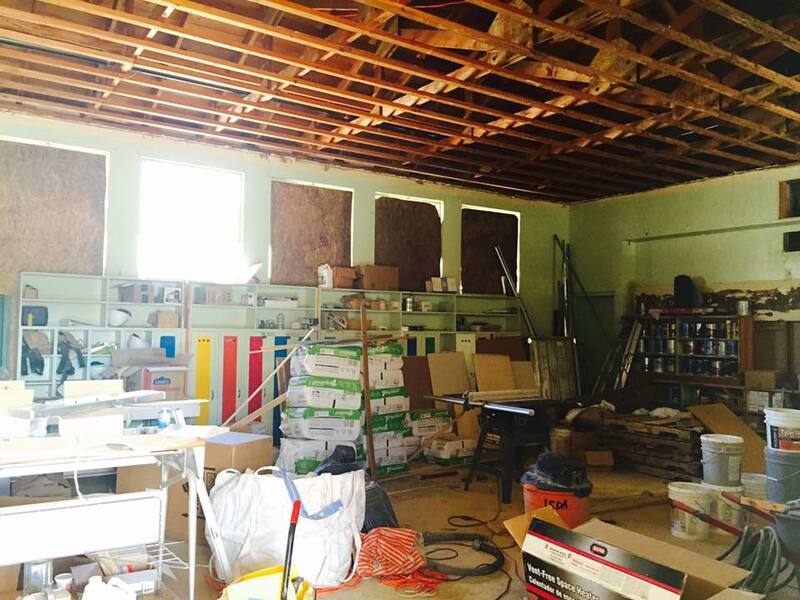 The commercial kitchen, partway through the renovations. The main entrance before renovations. The stucco walls and tile roofs were all restored. 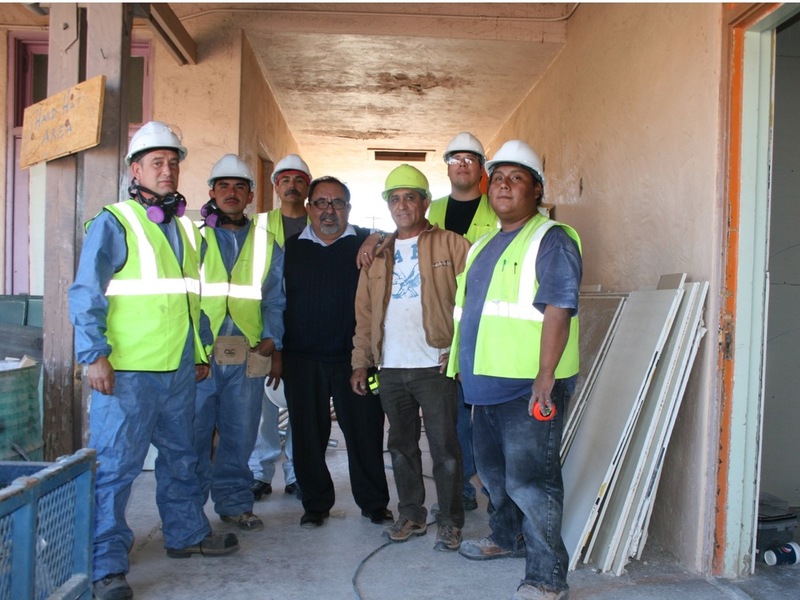 A crew of Journeyman Apprentices with US Representative Raul Grijalva. An apprentice putting the finishing touches on the South Wing during our opening season.